Clara Josephine Wieck-Schumann was one of the most accomplished female pianists in the 18th century. Her involvement in music started from an early age. This was due to the fact that her father was an excellent piano teacher and her mother a famous singer in Germany. Frederic Wieck, Clara’s father was very protective of his daughter and was involved in almost every aspect of her life as she grew from a child into an adolescent. As a matter of fact, Clara’s father had full custody of her after he and his wife divorced when she was a child. Her father is being given credit for her superb skills in piano playing. 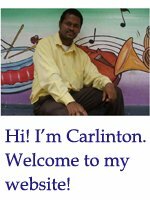 He made it compulsory for her to do piano, violin, singing, theory and composition lessons. As early as eight years old, Clara started to play at several public functions. One of her main public piano concert performances was at the home of Dr. Ernst Carus. It was at that function, she met another young pianist named Robert Schumann. They became friends but the relationship got closer when Robert Schumann started to do piano lessons with her father. By age eleven, Clara started to tour several countries in Europe. These tours helped to make her famous as her father continued in his quest to make her into a great piano virtuoso. By age eighteen, Clara was well known to several piano players and composers across Europe and Asia. Frederic Chopin and Franz Liszt were among these composers who praised her for her great talent. It was not long after that, she received the highest musical honour for musicians – The Royal and Imperial Chamber Virtuoso. In 1840 Clara Wieck married Robert Schumann even though her father opposed the relationship. The union produced eight children, but this never seemed to affect their ability to perform at public concerts and go on tours. 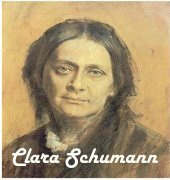 Clara Schumann was not only gifted in composing and playing her own works, but she was good at interpreting and performing compositions done by other composers such as Chopin, Schumann, Liszt, Bach, Mozart, Beethoven, Mendelssohn and Brahms. After Robert Schumann’s death in 1856, she decided to devoted most of her time in interpreting and publishing some of her husband’s unfinished works. She also spent time interpreting the works of Brahms. In 1878 Clara became a piano teacher, this she did for fourteen years. Clara died at age 76 due to suffering a stroke about two months prior. She was laid to rest beside her late husband. Clara Schumann’s name may have not been mentioned as much as the male composers of the 18th and 19th century, however, she is regarded as one of the best pianists of the romantic period and one the best female piano players to contribute to the development of music.